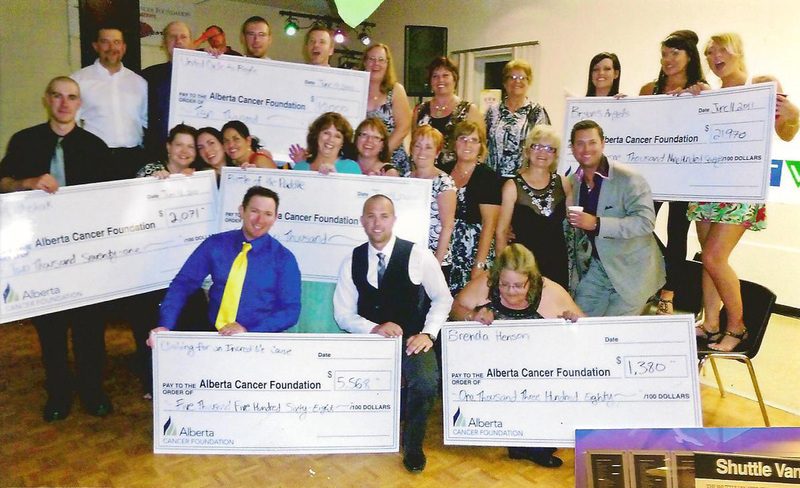 All the activities that happen before, during and even after the Bryan Mudryk Golf Classic weekend are heart-felt activities that collect and donate pledges and funds that go directly to the Cross Cancer Institute. Please join Bryan, his family and friends, and the entire community in raising our 2nd Million $$$!! if you'd like to sign up to participate in the Cycle Tour! ​you can get pledges for your own ride anywhere in Alberta! You just need to bike a minimum of 100 kms. 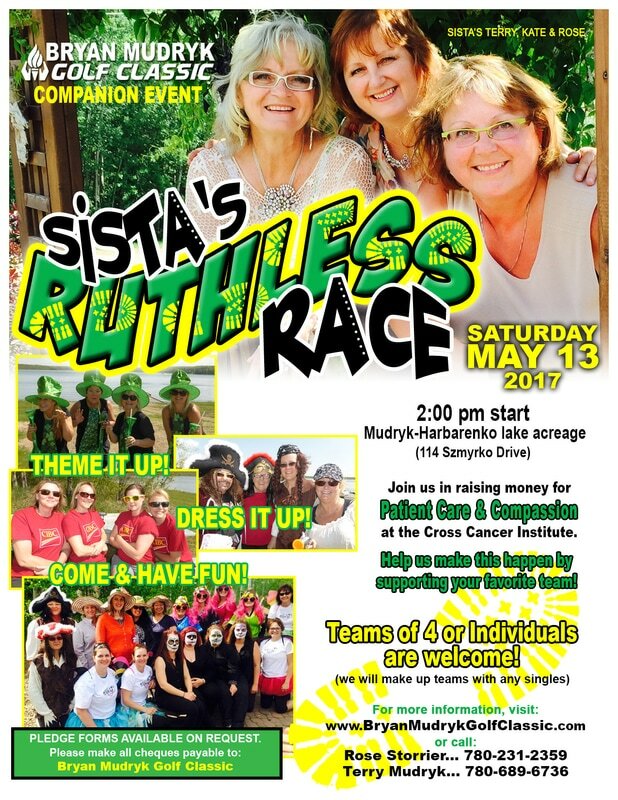 Teams of 4 ladies will battle it out as they run/walk/crawl/hop on the one hour journey through North Skeleton Lake terrain, scavenging for raw/wiggly/crazy treasures. First team to raise or pledge the most money wins a treasure chest of goodies. In addition, the first team to successfully complete the Ruthless Race wins BMGC Hoodies! Contact Rose or Kelly Storrier at rstorrier@shaw.ca or dkstorrier@shaw.ca for more info. Please join us for our annual BMGC Kick-Off Party, presented by Belvedere Vodka. 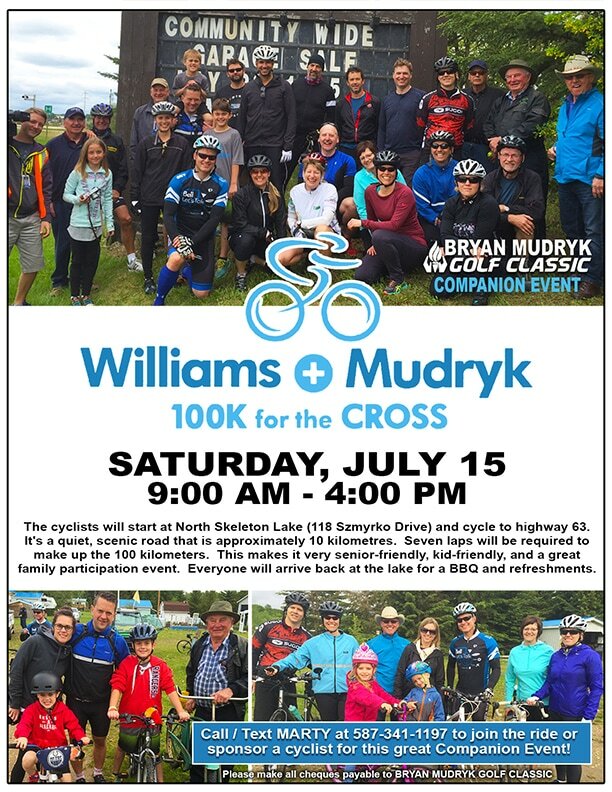 Share a beverage and a chat with Bryan and his special guest and fellow Sportscentre host Lindsay Hamilton, plus many of the other supporters of this great cause of raising money for the Edmonton Cross Cancer Institute. Only $20 gets you two Belvedere cocktails, and entry into some raffle and prize draws that evening! 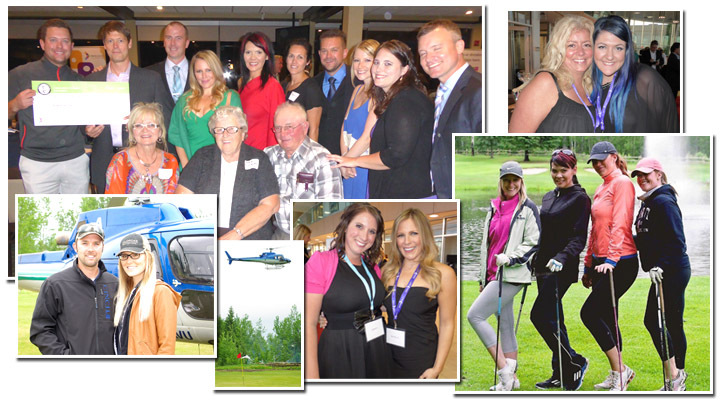 Don't miss this exciting kick-off to a crazy weekend of fun at the 16th annual Bryan Mudryk Golf Classic! Support any of these activities, or join in with any other fundraising activity of your own! Anything at all to help us raise money will work!